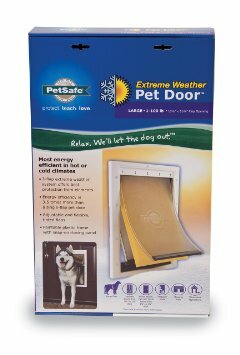 The Extreme Weather Door by PetSafe has a durable plastic frame and is designed for dogs up to 100 pounds. The size dimensions of the door are 3.4 x 13.8 x 22.2 inches. 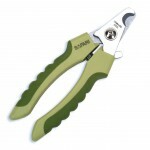 It has a useful, 3 flap system to offer protection in extreme weather conditions. 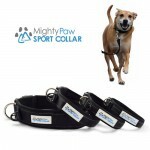 It is specifically designed to give your pet easy access and is available in three sizes: small, medium and large. 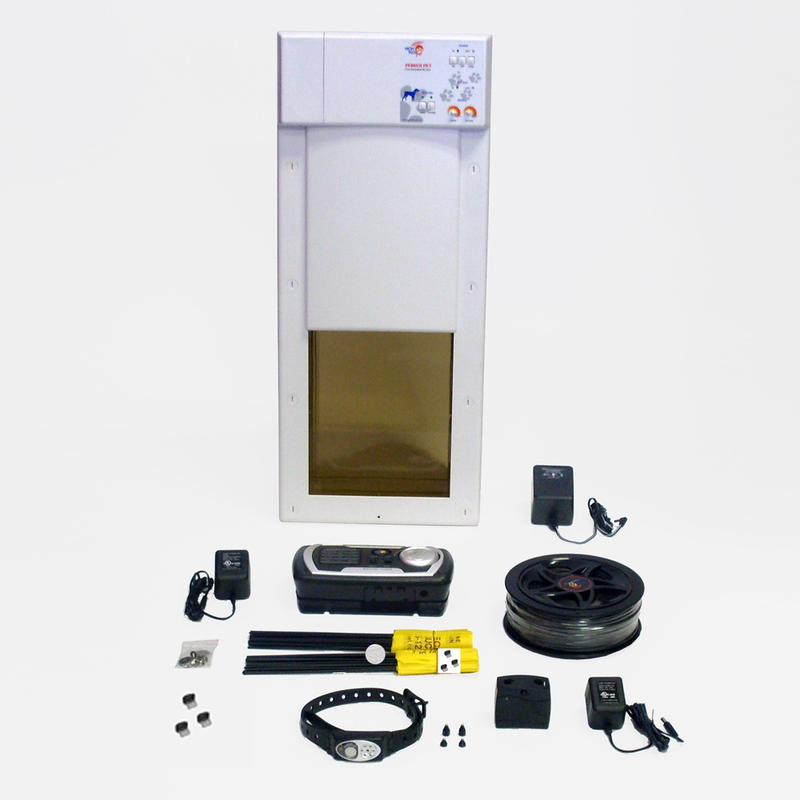 The Power Pet Electronic Pet Door by High Tech Pet is a vertically sliding door that is motor driven and is activated by MS-4 ultrasonic collar. 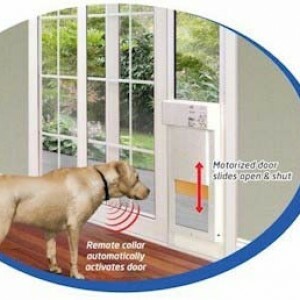 It has a very useful, built-in directional sensing system that only opens the door when your dog is directly approaching the door, and stays safely shut when he walks by or sits next to it. 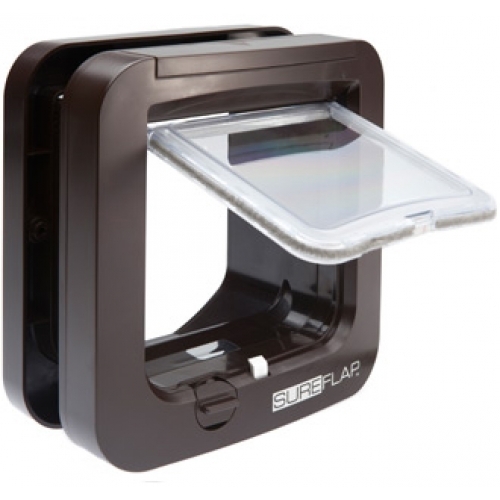 It has a four way access control that you can choose from: In Only, Out Only, Full Access or Closed & Locked. 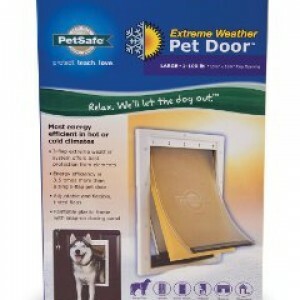 It is higher than any other pet door and has an air tight seal making it wind and weather proof. 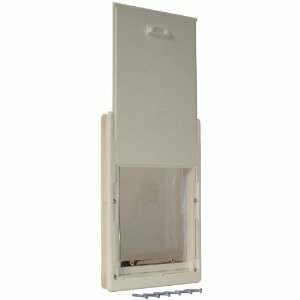 It also has an automatic deadbolt locking feature for safety. The Original Pet Door with Telescoping Frame is a durable and economical dog door by Ideal Pet Products. It is made out of a strong impact-resistant ABS thermoplastic material with a clear polyvinyl flap and has an inner telescoping frame. 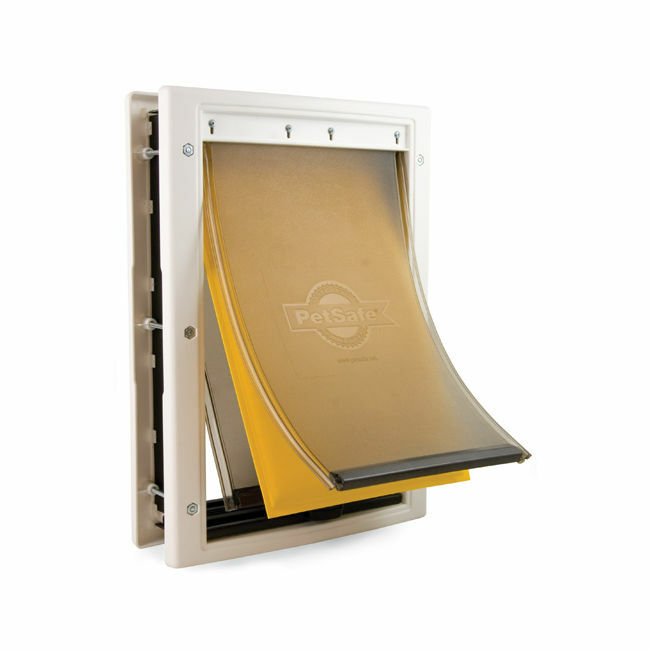 The size dimensions are 12.4 x 2.4 x 19 inches and the four step installation process is extremely easy and takes just 20 minutes. 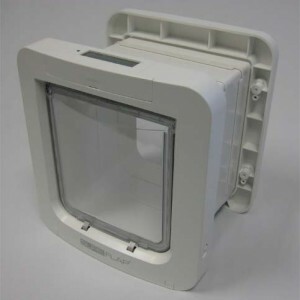 The SureFlap Micro Chip Pet Door is designed for small dog breeds. 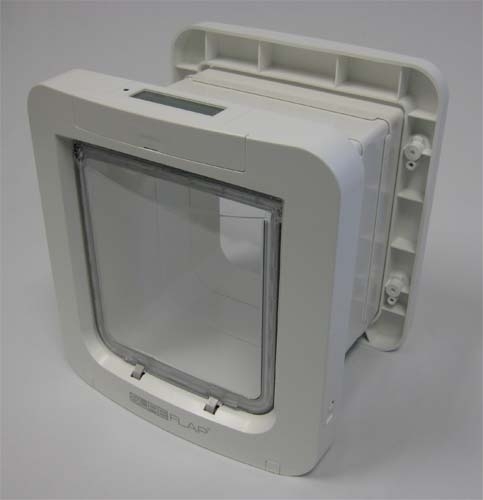 The door is compatible with all microchip formats worldwide and also works with the SureFlap RFID collar tag. 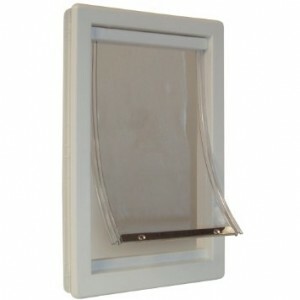 It is specifically designed for your pet and keeps intruder animals safely outside. It features a special curfew mode through which you can program the door to lock and unlock at specified times. 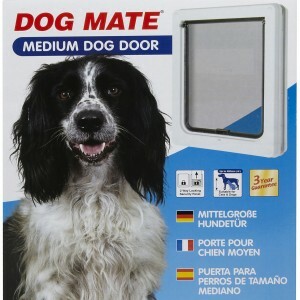 The Dog Door by Dog Mate is suitable for dogs up to 25 inches. 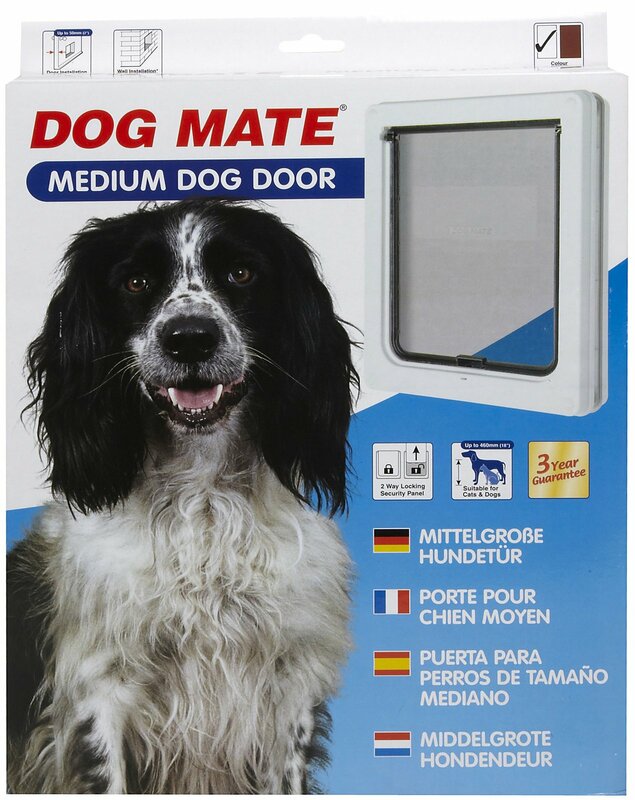 The door gives your dog the freedom to go in or out as he pleases and comes with robust locking panels. The size dimensions of the door are 14.5 x 1.8 x 17.5 inches. 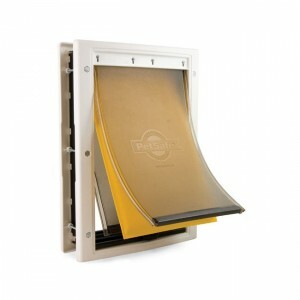 The door is fully draft and has a weatherproof brush sealed flap as well. 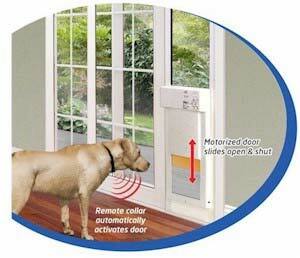 A dog door is a good way to keep your dog active and on its best behavior. 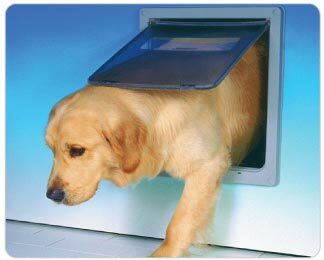 It gives your dog easy access to your home, the freedom to go out when he wants and lets you off the hook from that constant door duty! 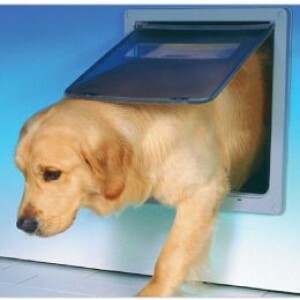 So, get happy and make your dog happier by getting a dog door today!